Finally caught up on some movies without guilt about sitting in a theatre, eating popcorn and having fun. Hey, it's my job! The tail end of 2008 felt as the second act in a good screenplay: fun & games, midpoint, ordeal and reward. January started off like a good Third Act. Fast, furious, promising. 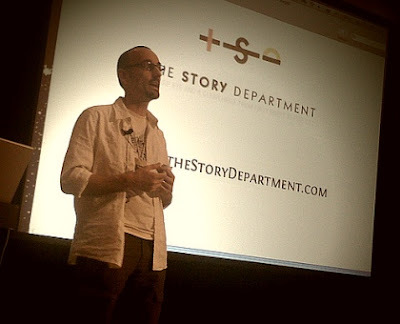 The Story Department is booming and I am now helping more filmmakers than ever before. I am proud to count writer-director Haifaa Al Mansour among The Story Department clients. Haifaa is the only female film director from Saudi Arabia. With her I will be working on her screenplay WADJDA (working title), which secured a place in the Berlinale Talent Campus at the Berlin Film Festival. FUNDING AND OTHER SUCCESSES: Early in the year, two of my clients were awarded AFC Development funding. The one former client who had meanwhile defected to an eminent American script consultant was not so lucky. On a remotely related note: in May, a handful of writers joined me in a 5-day inspirational development workshop organised by Inscription, headed by that eminent American script consultant. Thank you Marcus West for making this possible! PRODUCTIONS: In 2008 I completed two screen productions: Rodney March's fabulous animation TIN CAN HEART (a 'mini Wall-E', which we completed just before the release of the Pixar feature) and a documentary interview with legendary Hollywood designer and fellow Sydneysider Ron Cobb. The latter was commissioned by the CREATIVE MASTERS FORUM, where I hosted discussions with Ron Cobb and top cinematographer Don McAlpine. THE SPRING SEMINARS - I'm missing Miritana, Antonio, Mellanie, Jacob, Daniel, Mark, Nicole, Ron, Michelle, Ngaire, Carlo, Sharon, Linda, Vee, Susanne, Thomas, Nick, Pam, etc., all participants of the Spring Seminars. Sign up now for Premium membership for $89 and receive an early bird discount code that won't expire in 2009. THE GREAT DEBATE - In a stroke of insanity, I accepted Billy Marshall Stoneking's challenge to go head-to-head on Structure vs. Character in The Great Debate. Billy did his trademark performance and I focused on the learnable craft skills. The debate re-focused my thinking: as Jack Feldstein concurs, structure is indeed a more manageable and tangible approach. WORDCAMP AUSTRALIA - If you were at the Great Debate wondering about the "W" pin on my shirt: I was not supporting the ex-US President; this is the WordPress logo. I recently held a 'lightening talk' at WordCamp Australia (Photo's: http://ma.tt). 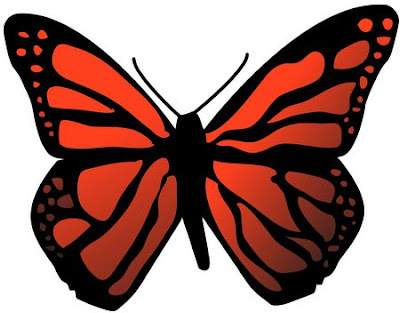 WordPress is the powerful open source technology behind my blog and I love it. Thank you WP! SPONSORSHIPS - The Story Department was a proud sponsor of the Stinkwater Film Festival, the WIFT Mentorship Program and the AZA film festival in Greece. Check out this little making-of clip in which the Story Department's parent company OZZYWOOD Films features (with its a slightly distorted logo). Finally, a big thank you to the interns who helped me throughout the year: Lauren, Susanne, Yvonne, Iona and Tanya. GUEST BLOGGERS - Jack Feldstein has written a bitterly funny four-part series about the psychology of the screenwriter. Some of it can be extrapolated to filmmakers in general, I think. Not sure if that's a good thing... I have a whishlist of some other people I respect in the industry and who I'm hoping are willing to contribute to the blog. Feel free to suggest someone from the screenwriting or filmmaking community you would like me to grill on story for the screen. NEW YEAR'S BONUS - All existing Premium Subscribers will receive a free extension of their membership until 31 December 2009. For some this means an extension with more than half a year. And for new subscribers I am offering the Valentine Special of 50% discount, ending on 14 February. All subscribers will also enjoy a never expiring Early Bird rate for all workshops and seminars I organise throughout 2009. STORY WORKSHOP - Join me for the first story workshop of the year! At this point, with more than two weeks left to go, we have no less than 29 confirmed guests at my scriptwriting workshop on 21 February at the Rex Centre. So hurry to secure your seat! It will be the largest workshop I've ever conducted and yes: I may be nervous! The event is organised by Ana Tiwary and her team at the WIFT NSW's Media Mentorship for Women. The workshop will kick off a new series of seminars and workshops about such topics as essential screen story, hero's journey, adaptation and script perfection. Welcome to this year's interns: Cleo, Ursula, Marian, Francesca and Margit. I also look forward to mentoring Nicole Tanzabel through the WIFT MMW program. GET CONNECTED - Have you noticed I moved from Outlook to Gmail? It happened when the following icons appeared in my signature: . If you have accounts with LinkedIn, Facebook, Blogger, Twitter or Plaxo, it would be great to connect. Just click on them (sign up if you need/wish) and add me as a contact. TWITTER - Of the social network media family, Twitter seems to be the fastest growing sprout. I like the 140 character limitation of the messages. Can you fit the logline for your film in a tweet? Perhaps you should work on that. My way of celebrating Australia Day was to get my blogs back up-to-date. It now looks like the film has done pretty good business in Australia and overseas, not in the US. Unfortunately the latter is the market where the film should have recouped its investment, so the other territories could help going into profit. America is still all about 'opening' (i.e. : making the money in the opening weekend), while at home the film has had the opportunity to grow. I would imagine Fox has an arrangement with the exhibitors to keep the film on for a minimum number of weeks at a minimum number of screenings per day. I went to see it in its fourth week and the theatre was full. Although I liked it, Australia wasn't by far my favourite film of 2008. This honour probably went to Iron Man, which I preferred over The Dark Knight (although the latter did deserve some oscar nods). But I missed a few big ones last year.So yes, I worked on 26 January. I will celebrate Australia Day on 25 September, the day I invaded Australia back in 2001.